The impressive line-up of participating telescopes stretch across the globe, from the South Pole to Europe to Hawaii, and, of course, Chile. ALMA with its 66 antennas, state-of-the-art receivers, its excellent site and southern location make it the largest and most sensitive, as well as a strategic component of both the GMVA and EHT. The observations will be done with the GMVA from April 1 to April 4, 2017, and with the EHT from April 5 to April 14, 2017. The outcome of these observations is eagerly awaited by the community as its scientific potential is incredibly exciting. 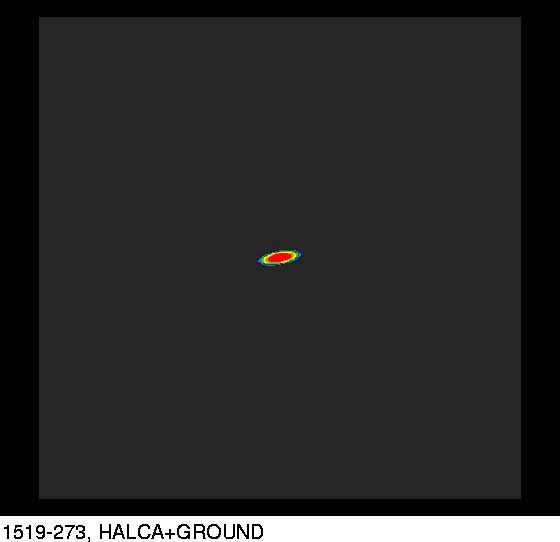 To help understand better these forthcoming observations, ALMA and its partners have launched a blog series to explain what the GMVA and EHT projects are and the science behind them. 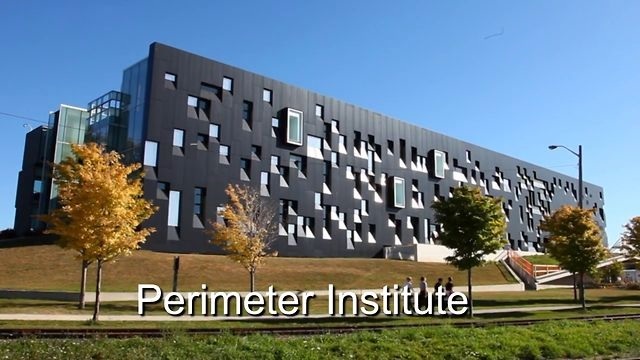 The series will take you along an astronomical journey, providing insight into how cutting-edge research is done, describe the associated risks, and provide answers to questions such as: How do radiotelescopes see the Universe? Why are black holes so interesting? 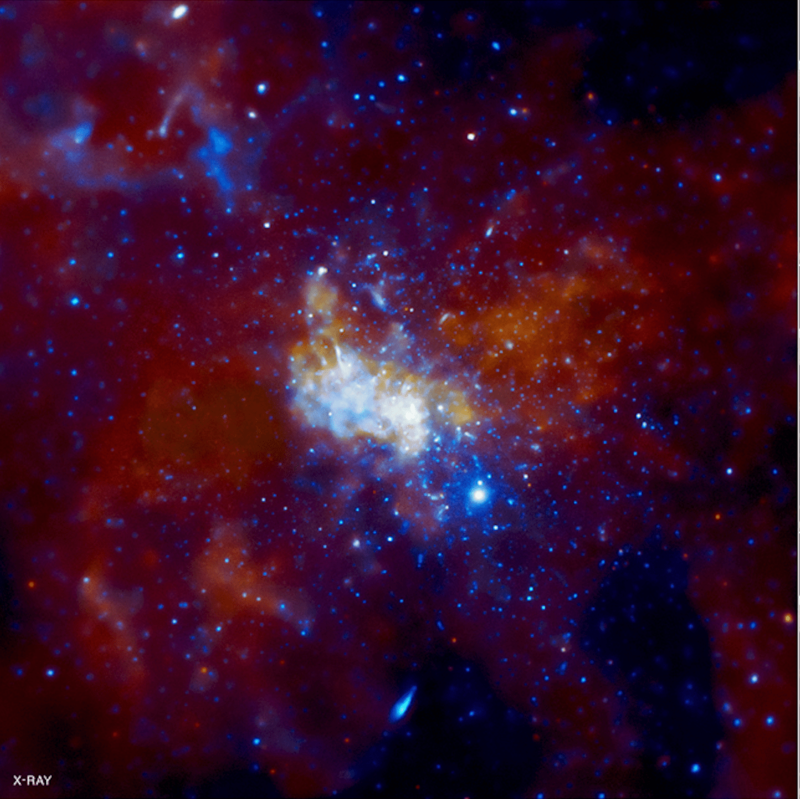 What do we know about the supermassive black hole at the center of the Milky Way? The first installment explains the GMVA and EHT projects in more detail and what they may see. You can read it here. This is the Atacama Large Millimeter Array, also known as ALMA—one of the world’s largest radio telescope arrays, an international partnership that spans four continents. In spring of 2017, ALMA, along with eight other telescopes around the world, will aim towards the center of the Milky Way, around 25,000 light years from Earth, in an attempt to capture the first-ever image of a black hole. This is part of a daring astronomy project called the Event Horizon Telescope (EHT). My partner Dave Robertson and I took turns huffing from a can of oxygen to stave off the altitude sickness that can come on at 16,500 feet. Our guide Danilo Vidal, an energetic Chilean who wore his dark hair in a ponytail, pointed to a grey metal door with a glass window. “If we open that door,” said Vidal, “everyone in science will hate us for the rest of our lives.” Confused by this cryptic statement, I took another hit from the oxygen and peered through the glass, into the heart of the experiment. Among a small forest of processors, I could see an eggshell-white box that resembled a dorm room refrigerator. Inside was the brand-new maser, an ultraprecise atomic clock that syncs up every antenna on-site, and then syncs ALMA itself to the Event Horizon Telescope’s global network, lending so much dish-space and processing power that it effectively doubles the entire network’s resolution. To keep equipment from overheating, the room is kept at an absurdly low temperature—very close to absolute zero. If we opened the door, Vidal explained, emergency systems would instantly shut down the maser to protect it, and ALMA’s beating heart would stop, ruining multiple international astronomy projects, including the EHT. The EHT is made possible by the maser’s astonishing precision—about one billion times more precise than the clock in your smartphone. With ALMA recently added to this Avengers-like team of radio telescopes, the network is ten times more sensitive. As a result, Doeleman’s group believes it has the firepower to penetrate the interstellar gases that cloak their targets: supermassive black holes. Drawn into orbit by the black holes’ gravity, these gases form gargantuan clouds that yield nothing to optical telescopes. Black holes are the folk legends of outer space. Since no light can escape them, they’re invisible to the eye, and we have no confirmation that they actually exist—only heaps of indirect evidence, particularly the gravitational wobbles in orbits of nearby stars, the behavior of interstellar gas clouds, and the gaseous jets that spew into space when an unseen source of extreme gravity appears to rip cosmic matter to shreds. Black holes challenge our most fundamental beliefs about reality. Visionary scientific minds, including the theoretical physicists Stephen Hawking and Kip Thorne, have devoted entire books to unpacking the hallucinatory scenarios thought to be induced by black holes’ gravitational forces—imagine the bottom of your body violently wrenched away from the top, physically stretching you like a Looney Tunes character, a scenario that Thorne’s Black Holes and Time Warps paints in stomach-churning detail. An image from the heart of the Milky Way from NASA’s Chandra X-ray Observatory. The supermassive black hole is at the center. Image: NASA/CXC/MIT/F. Baganoff et al. “The black hole at the center of our galaxy has everything to do with our own origin,” said Violette Impellizzeri, an ALMA astronomer collaborating with Event Horizon Telescope. Supermassive black holes are thought to regulate the stars that surround them, influencing their formation and orbit. “Understanding how our galaxy was formed leads to our own origin directly,” she said. It took Doeleman, the project leader at MIT, to decide that in order to see the unseeable, you would first have to create a new kind of vision. 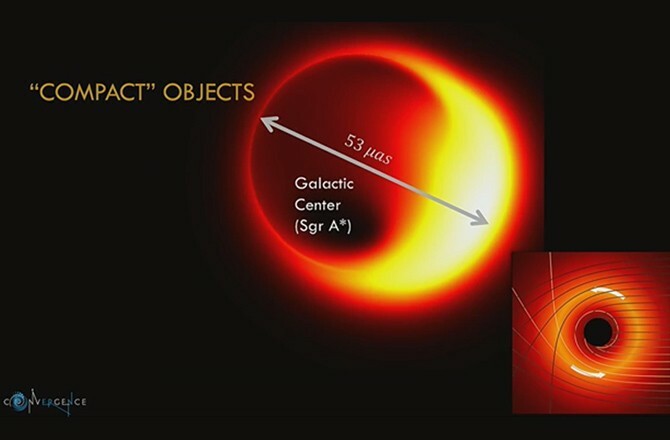 With ALMA as part of the giant EHT network, we can take a radio “photograph” of the matter that orbits Sagittarius A*—called the accretion disk—and finally see the black hole in shadow: its first-ever portrait. It was blindingly bright and windy, not to mention dry—Chajnantor is located in Chile’s Atacama Desert, the driest place on Earth, if you don’t count the poles. Completely inhospitable for human beings, Chajnantor is an ideal setting for a radio telescope: the elevation puts it closer to the stars, and the strikingly low water vapor keeps the cosmic signals pristine. For some, like ALMA’s crew, as well as Doeleman, the extreme environment is part of the attraction. “I just love getting to the telescopes,” he said. At 50, Doeleman is fresh-faced, with glasses and thinning hair that make him look every part the bookish scientist. His outgoing personality and entrepreneurial vigor reflect an explorer’s spirit more at home in the field than behind a desk. Outside on Chajnantor, I felt light-headed. I tried to keep my breathing steady: low oxygen can quickly wreck your mental faculties. On the plateau, Dave and I were dwarfed by ALMA’s antennas, which blocked out the desert sun. They felt powerful and eerie, like Easter Island statues. Even when standing directly beneath these behemoths, it wasn’t clear how they were controlled—the white dishes seemed to twist and pivot without warning. Vidal drove us back down the mountain to the Operations Support Facility (OSF), ALMA’s headquarters, so we could see the lab where receptors are maintained. Located at 9,000 ft, the OSF is where ALMA’s staff call home: a total of 600 scientists working in shifts are based here, including engineers and technicians, from over 20 countries. The working conditions can be extreme. Staff hole up in weeklong shifts separated from friends and family, and endure the short and long-term health risks of high elevation, including a stroke or pulmonary edema, where fluid fills your lungs and you suffocate. They unwind by exercising and watching movies, although certain sci-fi flicks are frowned upon. “We need a break from space sometimes,” said Follert. Alcohol consumption on site is strictly forbidden—have even a tipple and you risk amplifying the physical effects of high elevation. 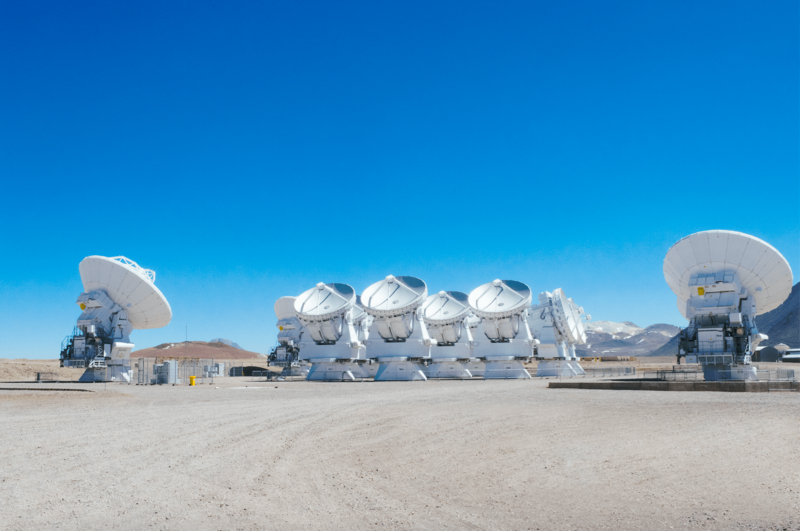 ALMA and the other telescopes on the EHT will soon turn towards the center of the Milky Way to tune in to the black hole’s narrow radio frequency. 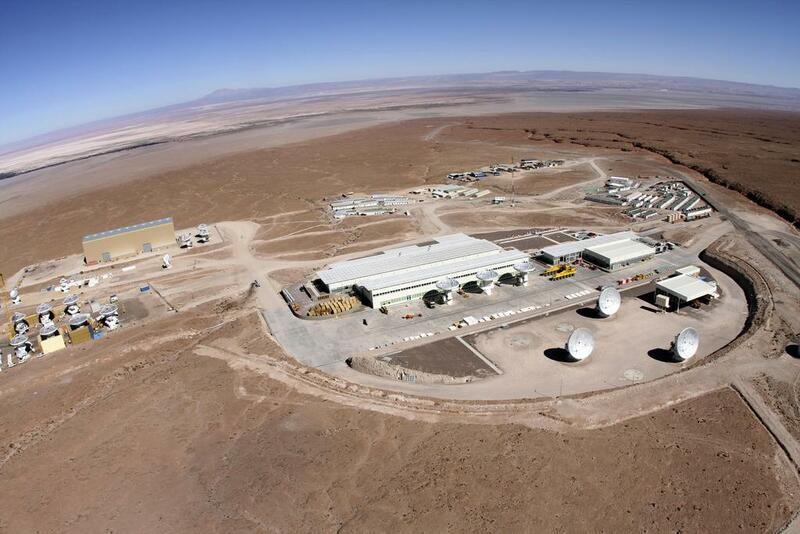 The data that ALMA collects will be so large, it cannot be transferred online. Instead, physical hard drives will shipped by “sneakernet”: loaded into the belly of a 747 and flown directly to MIT. When ALMA’s data is correlated with the other telescopes later this year, Sagittarius A* should appear against the glowing gas of the accretion disk. Maybe. Only 2 miles from my home in Iowa is a radio telescope part of the VLBA. I’ve been fortunate to go up inside and stand in the dish. What fun. Keep up the good work and posts. The centre of the Milky Way galaxy, with the supermassive black hole Sagittarius A* (Sgr A*) in the middle, is the first target for the Event Horizon Telescope. Around the world, observatories gaze at the sky. But what if you could combine these to make a single high-resolution image – and examine the event horizon of the supermassive black hole at the centre of the Milky Way galaxy while you’re at it? This is the idea behind the Event Horizon Telescope, a virtual telescope so big it spans continents and hemispheres thanks to an imaging technique called interferometry. It works as different telescopes scattered across the globe record data on the same subject, which is then combined and processed by a supercomputer. This fills in the gaps to produce a final image. 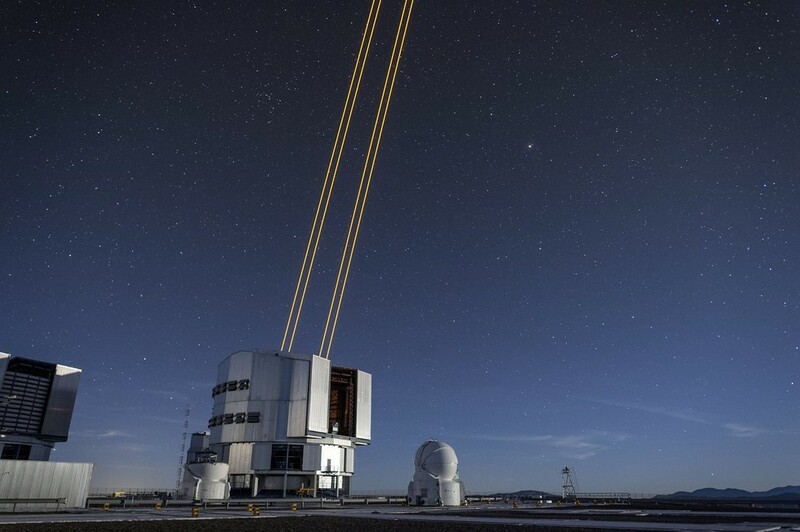 For instance, astronomers can use this technique to take information from two telescopes 100 kilometres apart, which creates an image similar to that taken by a single telescope 100 kilometres wide. The accuracy gets better with more telescopes and the greater their vertical and horizontal separation. Interferometry is used at sites such as the Atacama Large Millimeter Array in Chile, which comprises 66 moveable antenna dishes. Now astronomers are thinking bigger. Much, much bigger. 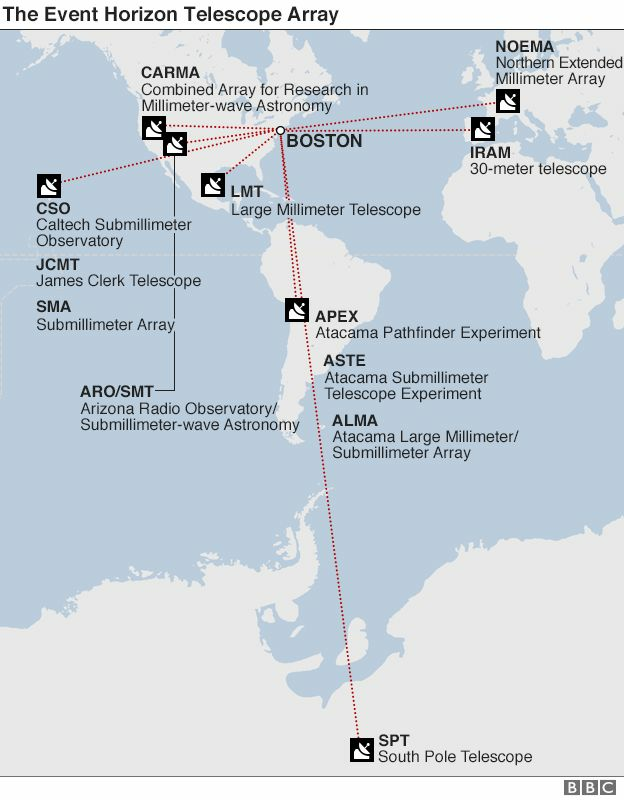 By combining radio telescope observatories in Antarctica, Greenland, Chile, Hawaii and a number of other locations scattered across the globe, astronomers plan to image the event horizon of the supermassive black hole at the centre of our Milky Way galaxy. Black holes are the great consumers of the universe. Their event horizon is the point of no return – not even light can escape once over the boundary. Astronomers suspect that in the centre of each big galaxy lies a supermassive black hole. The one hosted by the Milky Way is thought to be around 4.5 million times the mass of the sun. Despite its size, it and other black holes (supermassive or not) are currently impossible to see directly. Astronomers must instead observe the effects they have on their surrounds, such as the motion of stars. 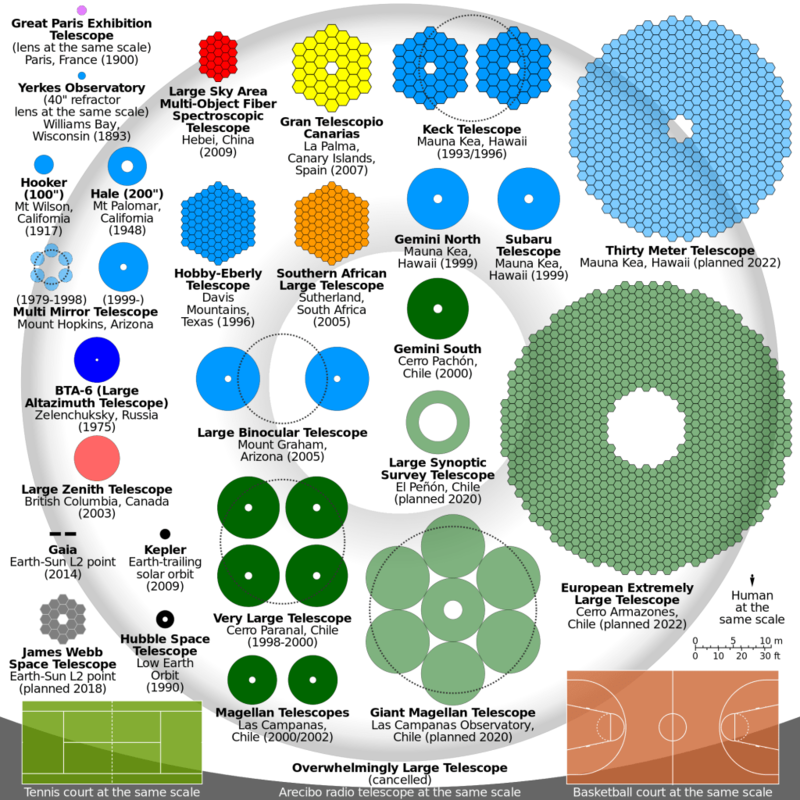 So why radio telescopes over other types? Unlike optical light, radio waves can penetrate clouds of dust and other material between Earth and the target. Supermassive black holes, being in the centre of a galaxy, are surrounded by plenty of dust and gas. The Event Horizon Telescope won’t just reveal what the event horizon of a black hole looks like, but may also test Einstein’s general theory of relativity, which describes gravitation. This theory has been tested by measuring the distortion of light by large astronomical bodies such as the sun. But black holes are gravity powerhouses. Will the theory stand up in this extreme setting? The supermassive black hole at the core of galaxy NGC 1277 weighs in at 17 billion solar masses. But it’s too distant to be resolved from Earth. Image credit: NASA / ESA / Andrew C. Fabian / Remco C. E. van den Bosch (MPIA). If you collapse a large enough mass into a small enough volume, you’ll create a black hole. The anatomy of a very massive star throughout its life, culminating in a Type II Supernova. Image credit: Nicole Rager Fuller for the NSF. Every object has a gravitational field, and without enough speed, you can’t leave it; you can’t reach escape velocity. For black holes, where escape velocity is bigger than the speed of light at the event horizon, nothing can escape, not even light. 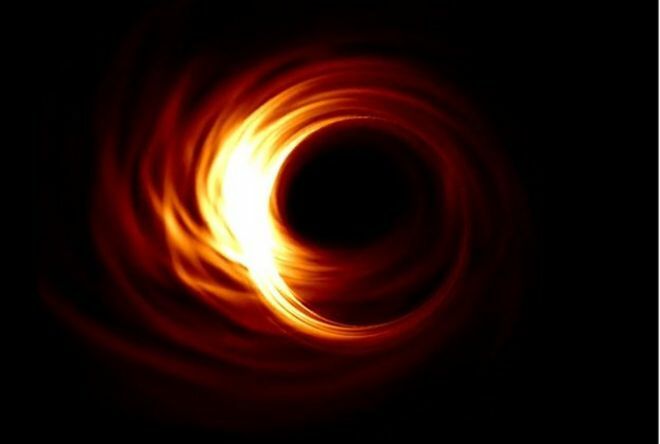 Black holes may still emit light from outside the event horizon, as accelerated matter either falls in or is funneled into jets, but nothing inside the event horizon can ever escape. Image credit: ESO/L. Calçada, of an illustration of the quasar SDSS J1106-1939. Black holes are formed from the collapse of incredibly massive objects: ultramassive stars imploding in supernovae at the end of their lives. But common, stellar mass black holes, at 1-100 times the Sun’s mass, are surpassed by rarer, supermassive ones. The core of galaxy NGC 4261, like the core of a great many galaxies, show signs of a supermassive black hole in both infrared and X-ray observations. Image credit: NASA / Hubble and ESA. Almost every galaxy has one, including our Milky Way. The largest flare ever observed from the supermassive black hole at our galaxy’s center. Image credit NASA/CXC/Stanford/I. Zhuravleva et al. At 4 million solar masses, our black hole is only 26,000 light years away. Other, larger, more distant galaxies, like Messier 87, have even larger black holes, reaching into the billions of solar masses. Three views of the center of Messier 87 and its central, 6.6 billion solar mass black hole. Images credit: Top, optical, Hubble Space Telescope / NASA / Wikisky, via Wikimedia Commons user Friendlystar; lower left, radio, NRAO / Very Large Array (VLA); lower right, X-ray, NASA / Chandra X-ray telescope. Later this decade, an array of radio telescopes — the Event Horizon Telescope — comes online. With a resolution of 10 micro-arc-seconds (μas), it should see the Milky Way’s supermassive black hole’s event horizon. The expected view of the Milky Way’s supermassive black hole through the Event Horizon Telescope. It should be the only one directly visible. Image credit: S. Doeleman et al., via http://www.eventhorizontelescope.org/docs/Doeleman_event_horizon_CGT_CFP.pdf. With an angular size of 19 μas, no other black hole appears larger from Earth. As I write this in July 2016, it has been 30 years since the first successful space very long baseline interferometry (VLBI) observations were made. VLBI is the radio astronomy technique to use widely separated radio dishes to produce exquisite images of celestial radio sources – and space VLBI allows separation between dishes larger than the diameter of the earth, potentially producing higher resolution images. But astute readers might be questioning my sanity. Many sources, including a page on our Imagine the Universe site will tell you that the first space VLBI satellite was Japan’s HALCA, which was launched in 1997. And 1997 was less than 20 years ago. Both these statements cannot be true – can they? Actually, yes, they can be, and they are. The actual sentence on the linked page reads: “The first mission dedicated to space interferometry was the Japanese HALCA mission which ran from 1997 to 2005.” The key phrase is “dedicated to” – you see, we sometimes use somewhat awkward phrasing in communicating with the general public when we don’t want to bother you with all the details, at least not initially. The hidden detail behind the sentence above is that well before HALCA, there was an earlier satellite which was used to demonstrate that space VLBI is possible, even though it was not specially designed for that purpose. Top: This radio image of the galaxy M87, taken with the Very Large Array (VLA) radio telescope in February 1989, shows giant bubble-like structures where radio emission is thought to be powered by the jets of subatomic particles coming from the the galaxy’s central black hole. The false color corresponds to the intensity of the radio energy being emitted by the jet. M87 is located 50 million light-years away in the constellation Virgo. 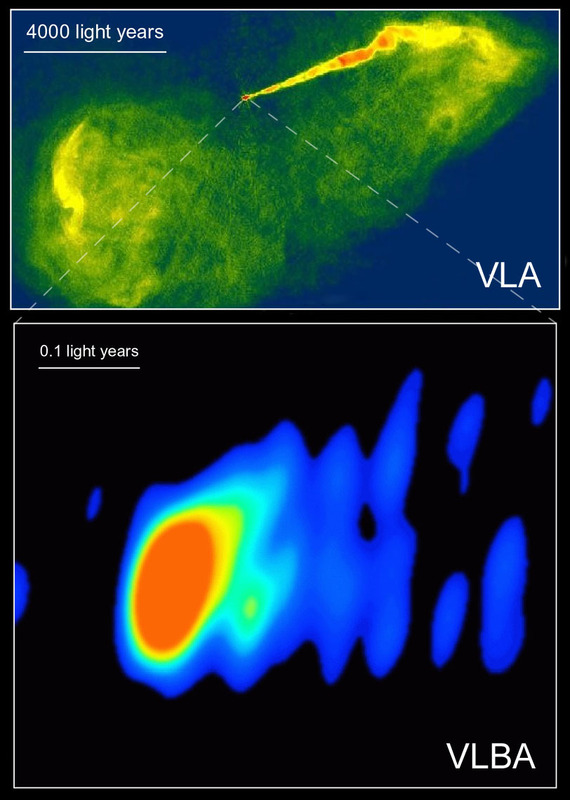 Bottom: A Very Long Baseline Array (VLBA) radio image of the region close to the black hole, where an extragalactic jet is formed into a narrow beam by magnetic fields. The false color corresponds to the intensity of the radio energy being emitted by the jet. The red region is about 1/10 light-year across. The image was taken in March 1999. Credit: NASA, National Radio Astronomy Observatory/National Science Foundation, John Biretta (STScI/JHU), and Associated Universities, Inc. But let’s back up and start with a refresher on the basics. Professional astronomers and the general public alike like to have the sharpest, the most detailed images of astronomical objects. For UV and optical telescopes, we need bigger telescope mirrors for this, and to preferably launch them into space so the images are not blurred by the Earth’s atmosphere. With these telescopes, we can approach the diffraction limit – the fundamental limit on the sharpness of images set by the physics of light. You see, light is a wave, and there is an intrinsic fuzziness in how it goes through a slit, is reflected by a mirror, etc. The minimum angular size of an image – the diffraction limit – is proportional to the wavelength and inversely proportional to the diameter of the telescope mirror. Radio waves have wavelengths often measured in centimeters, much larger than the wavelength of visible light, by a factor of almost a million. While it is easier to build a bigger radio dish than a bigger optical telescope, there is a practical limit. The giant Arecibo radio telescope, famously featured in the film Contact, based on a book by Carl Sagan, used to be the biggest radio telescope in the world. Now China just completed what is considered to be the world’s biggest radio telescope. Though the diameters of these big radio dishes are on the order of 100 times the diameters of the biggest visible light mirrors, the wavelengths of radio waves are still so large that the diffraction limited images from any of these single dish telescopes are not very sharp. Primary mirror size comparisons. Note Arecibo is so big that it is only represented by a dark gray arc at the bottom of the image. [FAST is not represented at all.] Credit: Cmglee, creative commons. Interferometry to the rescue. If you have an array of radio dishes, they can be combined to increase the effective size of the telescope and obtain sharp images. In technical terms, a baseline is the separation between a pair of radio dishes; you want long (and short) baselines in a variety of directions to make a sharp image. For example, the Karl G. Jansky Very Large Array (VLA) has 27 movable dishes in a Y shaped configuration, each arm of which is 21 km (13 miles) long. Image-wise, its performance is similar to a single, 40 km diameter, telescope. VLBI is when you combine signal from multiple radio telescopes on Earth. Space VLBI allows you to have baselines that are longer than the diameter of the Earth. With VLBI (Earth-bound or including a satellite), you tend to have fewer participating telescopes, and you may have to rely on the rotation of the Earth or the orbital motion of the satellite to give you a variety of baselines. HALCA allowed baselines up to about 30,000 km (3 times the diameter of the Earth), and the Russian RadioAstron satellite has an orbit that takes it up to distances equivalent to halfway to the distance to the Moon. But space VLBI started 30 years ago, before these purposefully built satellites. What they used prior to them was the tracking and data relay satellite system (TDRSS), which NASA started in the 1980s for communication between the Space Shuttles and other satellites and ground stations. The communication is via radio waves in some of the same frequency bands used for astronomical radio observations. Back in July and August of 1986, astronomers and engineers used the TDRSS satellite (there was only one in orbit back then) together with the 64-m antenna of the NASA Deep Space Network at Tidbinbilla, Australia and the 64-m antenna of the Institute for Space and Astronautical Science in Usuda, Japan. They demonstrated space VLBI was possible, and that the three quasars they observed were very compact and beaming radio sources. This success opened the way for HALCA and RadioAstron. So, here’s to the 30th anniversary of the first successful space VLBI observations! [This article suffers from no mention of the Event Horizon Telescope (EHT), a new adventure in VLBI. Aimed specifically at exploration of supermassive black hole Sagittarius A*, at the center of the Milky Way, this new adventure will surely take on other projects in a life of its own. That is how science works.